Since starting spyderco we've been told our knives are different, peculiar, even out there. All true. Thinking beyond established knife industry barriers allowed us to introduce new and Radical innovations to the knife culture including: one-hand opening, serrations on a folder and a clip to attach a knife to a pocket. We didn't go into business to rake in a mountain of dough we're here for more selfish Reasons- indulging our passion for creating knives. Spyderco is definitely out of the norm in the knife industry in our dedication to researching and developing fresh, improved and better performing materials all with function and reliability being key. 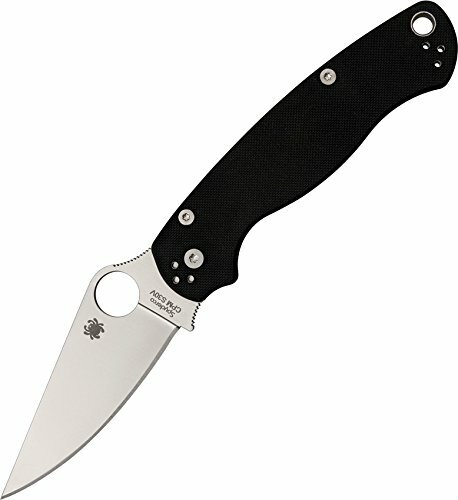 Someone once said to sal glesser, spyderco's owner, "you must design in the dark because your knives look so strange." true again. Our recognizable appearance is a result of designing ergonomic functional tools rather than applying lipstick and nylons to a pocketknife. We may look curious, homely, whatever, but we'll never be called unusable or undependable. Making knives that consistently deliver reliable high-performance requires an ongoing commitment to testing.